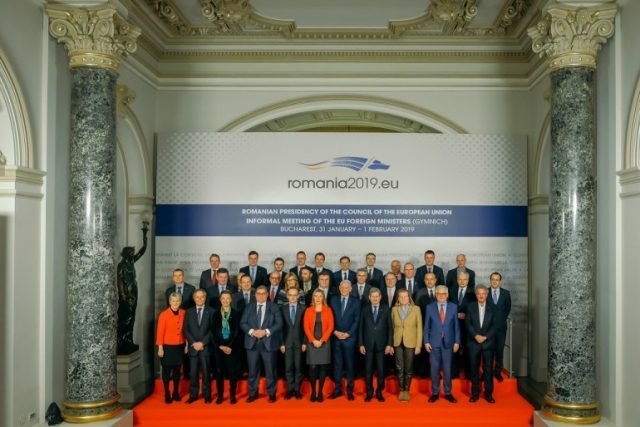 BUCHAREST – Capital of Romania hosted yesterday an informal meeting of Ministers of Foreign Affairs of EU members states and candidates, organised by the EU High Representative for Foreign Affairs and Security Policy Federica Mogherini and Romanian Presidency of EU. The topic of an informal working lunch attended by the ministers of the countries of the region was “The future of the region of Western Balkans, strengthening of dialogue and improving regional cooperation in the context of global challenges”. Mogherini earlier announced that the EU Foreign Ministers will be joined by their colleagues from the candidate countries. “Yesterday evening already we were joined by our colleagues, our friends, the Foreign Ministers of the candidate countries, for a social dinner at which we were honoured to be joined by the Prime Minister of Romania. And today we had together with them and also separately – among us, the 28 [Member States] – a discussion on our relations with China“, stared Mogherini after the event took place. She emphasised that China is a strategic partner for the European Union and definitely an important country in terms of economic power, in terms of trade relations, in terms of its global role, which opens both some opportunities for us that the EU is ready to best explore together, in a manner that is coordinated as much as possible, but also some challenges, when it comes to some policies that are definitely different, such as human rights policy. 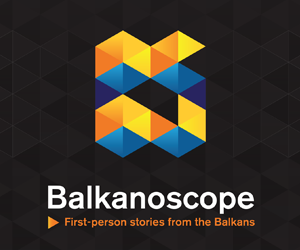 The informal meeting was also attended by Commissioner for Neighbourhood Policy and Enlargement Negotiations Johannes Hahn, who exchanged his views with the ministers of candidate countries on the situation in the region, putting particular focus Macedonia’s name change and the possibility for continuation of dialogue between Belgrade and Pristina. Minister of Foreign Affairs of Romania Teodor Melescanu stated that, during its Presidency, Romania will organise a series of events a maintain a dialogue with the candidate countries. “We will try to encourage them, and we hope that the European Commission will finalise its enlargement policy by the beginning of May”, stated Melescanu. 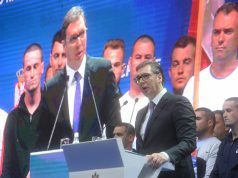 Ivica Dačić, Minister of Foreign Affairs of Serbia, stated after the meeting that the opinion of each participant was that the dialogue between Belgrade and Pristina should continue and that tariffs on goods from Serbia and BiH should be revoked as soon as possible. He also reflected on the topic of the meeting. “I have expressed our views, which are based on a strategic partnership with China, which is not contrary with the European path of Serbia. Everybody else were also speaking in that tone, given the fact that there is the Belt and Road initiative that has gathered 16 countries of Central and Eastern Europe”, said Dačić. Minister of Foreign Affairs of Macedonia Nikola Dimitrov emphasised the bold steps undertaken by that country, which has closed all open questions with its neigbours and undertaken significant reforms at home. “We expect that everything that we have done and everything we will do in the following months will be recognised through the decision to open accession negotiations in June 2019”, he stated. He also stressed the strategic partnership that exists both between China and the EU and between China and the Western Balkans, reminding that the Belt and Road initiative enables significant infrastructure projects in Macedonia.